SEATTLE--(BUSINESS WIRE)--TCS World Travel, the leading tour operator of private jet expeditions for nearly 25 years, today announced its newest journey: Mystic Kingdoms of Asia, Exploring the Secrets of Longevity with Dr. Andrew Weil. 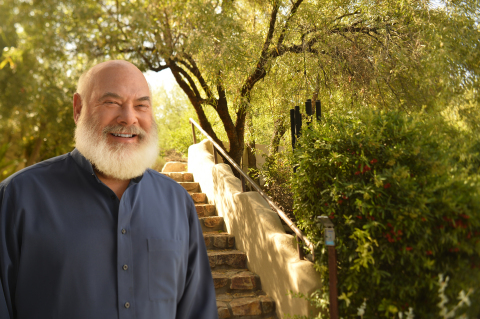 Dr. Andrew Weil, a best-selling author and leader in the field of integrative medicine, will host this innovative small-group expedition—the first in a series of wellness-oriented journeys. 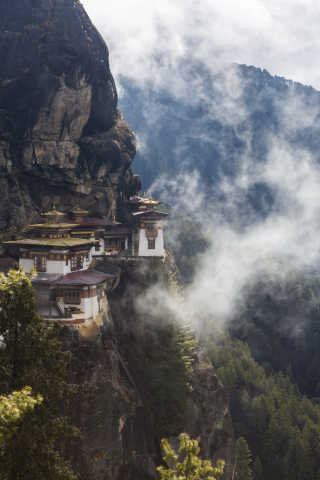 This itinerary combines access to fascinating destinations—from the modern cityscape of Singapore to the remote Himalayan kingdom of Bhutan and the ancient spiritual capital of Laos—with explorations of ancient traditions centered around the body and soul. The pioneer in private jet journeys, TCS World Travel is always looking to innovate new ways for today’s globally curious and affluent travelers to experience the world. On Mystic Kingdoms of Asia, an intimate group of just 20 likeminded guests will fly on an exclusively chartered Bombardier Challenger 850 private jet to the remote corners and spiritual thought-centers of Asia and enjoy meticulously curated activities designed to nourish their entire being. The journey takes flight February 1–21, 2019, and is priced at $82,950 per person based on double occupancy. Guests will be accompanied throughout their journey by Dr. Weil and Barry Till, who is a noted expert on Asian history and culture. Through interactive talks and informal conversations, they will illuminate the connections between the destinations on the itinerary and the local traditions of body and soul that thrive in these communities. This trailblazing itinerary goes far beyond the beaten path and takes travelers across the Asian continent. At each destination, expertly curated activities allow travelers to not only learn about time-honored wellness traditions, but also enjoy unique cultural experiences and explore historic sites. Guests will stay in some of the world’s best-available and unique properties—each selected for its service, amenities and proximity to sights. Many of these properties offer optional spa treatments, yoga sessions and other wellness activities that incorporate local traditions. This journey is all-inclusive of private jet flights and staff, luxury accommodations, ground transportation, dining, exclusive sightseeing options, special events and activities, and enrichment programs. A dedicated team provides concierge-style service at every level, from helping prepare travelers for the journey to handling luggage or filling out customs forms. TCS World Travel leads the industry in private jet journeys with the experience and knowledge built from developing hundreds of trips for nearly 25 years. Dedicated to delivering immersive, worry-free travel experiences, TCS World Travel caters to the needs and preferences of the globally curious and modern luxury traveler. TCS World Travel provides unparalleled local access and exclusive activities tailored to any travel style. Circle the globe or dive deep into a region on a luxury private jet expedition, or embark on a luxury custom itinerary created to any destination in the world. In addition to offering its own journeys, TCS World Travel is the exclusive private jet tour operator for the Four Seasons Private Jet Experience and National Geographic Expeditions. TCS World Travel announces its newest journey: Mystic Kingdoms of Asia, Exploring the Secrets of Longevity with Dr. Andrew Weil.